Senior Management, Heads of Department, Human Resource / Administrative staff, Internet Security staff, strategic key personnel in adopting and implementing policies, rules and regulations. Register and pay not later than 04 Aug 2017 for 10% discount. RM1,500 per person for group registration of 2 paxs or more from the same organization. Many companies send email replies late or not at all, or send replies that do not actually answer the questions you asked. If your company is able to deal professionally with email, this will provide your company with that all important competitive edge. Moreover, by educating employees as to what can and cannot be said in any email, you can protect your company from awkward liabilities issues. This Workshop is specifically designed to instil good etiquette in email communications, and establish guidelines that help avoid mistakes (like offending someone when you do not mean to) and misunderstandings (like being offended when you are not meant to). The workshop focuses on "core rules" that will help better communication via email. "By requiring employees to use appropriate, businesslike language in all electronic communications, employers can limit their liabilities, risks and improve the overall effectiveness of the organisation's email and internet copy in the process." — Excerpt from "Writing Effective Email" by Nancy Flynn & Tom Flynn. 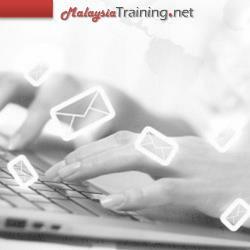 Module 1 - WHY DO YOU NEED EMAIL ETIQUETTE?